APSC Recruitment 2019 - Job notification for 90 Computer Operator & CDPO & Other Allied Cadre Posts in APSC, Assam. 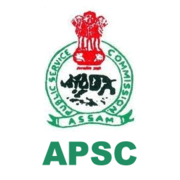 Applications are invited by APSC - Assam Public Service Commission on or before 06 Mar 2019 for 90 vacancies. Pay the Examination Fee through Treasury Challan in the Head of Account “NON TAX REVENUE, OTHER NON TAX REVENUE 0051 PSC, 105 STATE PSC APPLICATION FEE RECEIPT OF APSC” showing name of post and department. 44 years as on 01.01.2019(as per O.M vide No.ABP.6/2016/8 dated 18th April, 2018). (a) Higher Secondary/Class-XII passed from the Govt. recognized Board/Council. Child Development Project Officer & allied Cadres Graduate in Arts, Science, Commerce from a recognized University and in addition any one of the following qualification: a. Post Graduate Degree or Diploma in Social Works/ Labour & Social Welfare/ Sociology/ Anthropology/ Criminology. 17 ₹14000-49000 with Grade Pay of ₹6,200 plus other allowances as admissible under the Rules. Child Development Project Officer & allied Cadres 37 ₹22,000 to 87,000 and Grade Pay 9,700 of PB-3 plus other allowances as admissible under the Rules.